A West Cumbrian young man who suffers with ADHD and autism, has grown in confidence by improving his performance skills. Kristian Caddy, 18, received £500 from both the Edmond Castle Educational Trust and the Cumberland Educational Foundation to continue to attend a part-time theatre school in Cockermouth. Kristian, was a student at West Lakes Academy in Egremont, while also attending stage school every Saturday. Although Kristian was awarded half a scholarship towards the fees, his mother struggled to pay the rest without the help of the funding. During his two years at the theatre school, he achieved qualifications in Dance, Drama and Singing as well as getting 10 GCSEs, 2 AS Levels, and distinctions in BTEC Business Level 3 and Performing Arts Level 3 at West Lakes Academy. Kristian uses drama and dance to improve his co-ordination, fine motor skills and help develop his independence. He said: “Due to my autism, I struggled with movement because of coordination issues. However, thanks to the grant I now have dance, which will in turn support my acting. 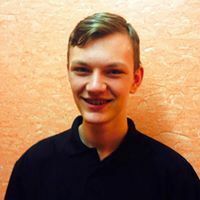 “These performance skills will also help me with my university life; I started studying for an English Literature and Drama degree in September. The skills I have learned will allow me to be more confident. I have been able to step out of my comfort zone and truly improve as a performer.